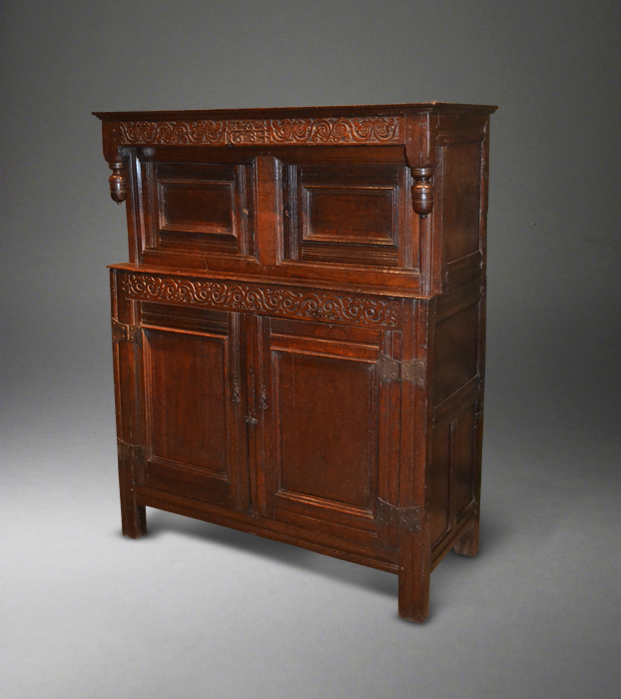 Suffolk House Antiques | A small Charles II oak press cupboard. A SMALL CHARLES II OAK PRESS CUPBOARD. Of small proportions, this two part oak press cupboard dates from the penultimate year of the reign of Charles II and has two small cupboards to the upper section and two larger ones to the base. 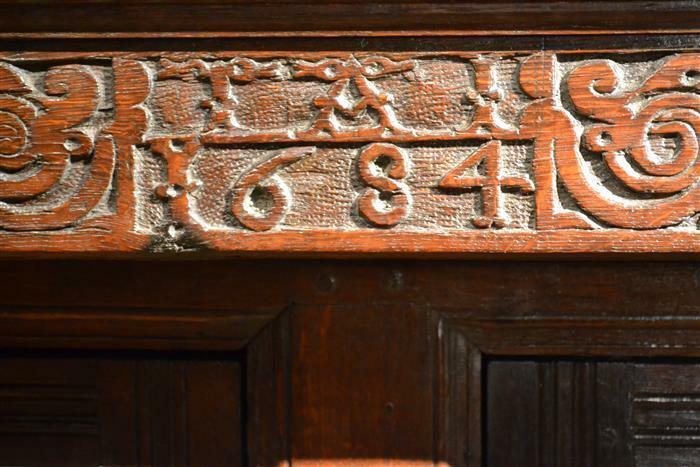 The top rail is carved with the date 1684 and the initials T A I (the I is probably a J) and has the type of finely curled carving that is ascribed to the coastal area around Bowland and Lancaster in North Lancashire. Chinnery discusses this and gives examples of very similar carving on pages 485 and 486 in Oak Furniture The British Tradition. Excellent medium colour. 49 inches wide (on the cornice) x 22 inches deep x 61 1/2 inches high. Despite minor restorations, it is good value at £3450.